Akshay Kumar, who will be next seen in Excel Entertainment’s Gold, plays a hockey player in the film. The actor is retelling the story of Indian Hockey Team and their first gold medal win after Independence. With another hockey film coming this year, the comparisons between Gold and Shah Rukh Khan’s 2007 film Chak De! India began early when the first trailer came out. While SRK played a coach to an all-female hockey team, Gold is a real story based on the real incidents that led to 1948 gold medal win. 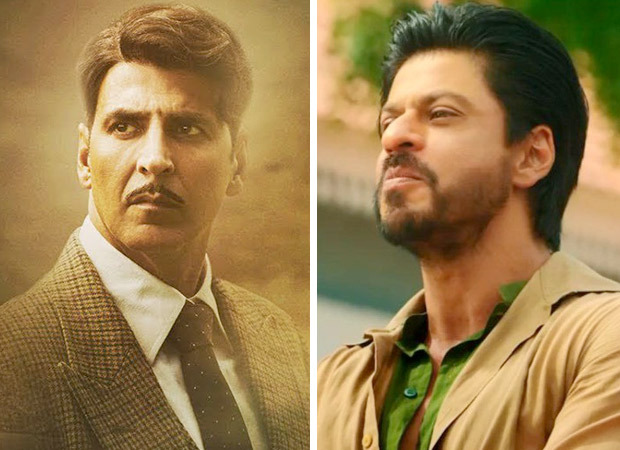 Speaking about those comparisons, Akshay Kumar recently asked not to compare those two films at all. He said that everything will be a competition but for them both the films are different. For him, it was all about doing a good. He said that it is frivolous to even think that he is competing with Chak De! India. Akshay Kumar later talked about his character Tapas Das in Gold who works as an assistant manager and dreams of winning a gold medal for his country after Independence. He said that his character is a drunk and cheater and a very controversial man. But, in a year, he made a squad of 11 people, went to Olympics and won that prestigious medal. Akshay thought it was an unbelievable story and needed to be told. The sports drama Gold is one of the most awaited films of the year. The film has been shot across the UK and India, capturing the fascinating aspects of the pre-independent era. It marks the debut of TV actress Mouni Roy opposite Akshay Kumar. Gold also stars Kunal Kapoor, Amit Sadh, Vineet Singh and Sunny Kaushal and promises power packed performances by an ensemble cast. It is produced by Ritesh Sidhwani and Farhan Akhtar, helmed by Reema Kagti and is all set to release on the 15th August 2018. CHLOE MORETZ AND BROOKLYN BECKHAM: WHO’S THE BOSS? We’re Obsessed With This So-Easy Summer Salad—Try It Tonight!